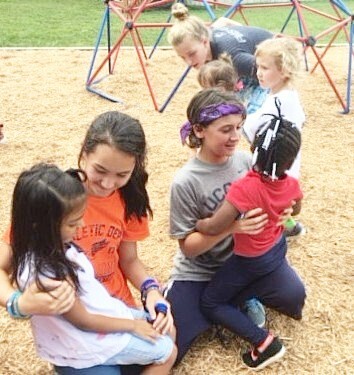 We love our seventh and eighth grade mentors! 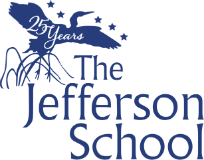 OVERVIEW: Founded in 1991, The Jefferson School opened its doors in 1992 as a nonprofit, private, independent day school. Today, The Jefferson School strives to be a leader in providing forward-thinking, integrated, hands-on learning experiences for children ages three through 14. ACCREDITATION: The Jefferson School is accredited by The Middle States Commission on Elementary Schools of the Middle States Association of Colleges and Schools. 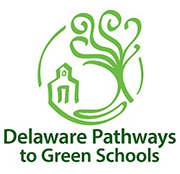 As a Middle States accredited school, The Jefferson School voluntarily commits to an on-going school improvement process. 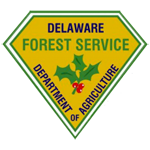 FACILITIES: Centrally located between Georgetown and Milton in Sussex County, Delaware, The Jefferson School sits on 43 wooded acres adjacent to the Redden State Forest. 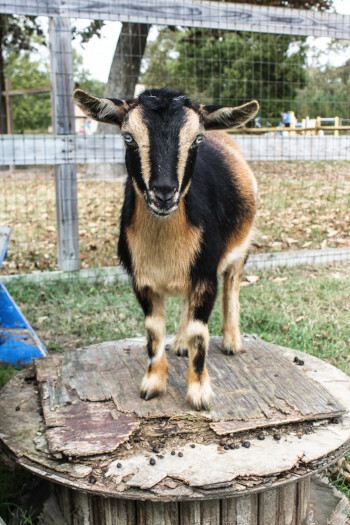 The school features 10 classrooms, administrative offices, playgrounds, a nature trail, two ponds, a greenhouse with an adjacent garden area with five resident goats and beehives, a basketball court and a soccer field. GRADES: Preschool (ages 3-4) through grade 8. ENROLLMENT: Current enrollment is 109 students. AVERAGE CLASS SIZE: The student-teacher ratio averages 10:1. Classes with younger children have a smaller ratio, while middle school grades average 16:1. SCHOOL HOURS AND EXTENDED CARE: Arrival begins at 8:15 a.m. Opening exercises begin promptly at 8:30 a.m. Classes are dismissed at 3:15 p.m. The school offers child care for its students before the opening of school each day beginning at 7:30 a.m. and after school until 6:00 p.m.
TRANSPORTATION: Bus transportation is available to and from the Rehoboth/Lewes area. The Jefferson School uses The Jolly Trolley to provide services to our students. Please call the school for more information. PARENT/GUARDIAN PARTICIPATION: The Jefferson School values the time and talent families offer to make the school community thrive. Parents/guardians are asked to volunteer 40 hours during the school year. FINANCIAL AID: Tuition assistance is available. DO YOU HAVE STANDARDIZED TESTING? : Yes. The Jefferson School takes assessment very seriously and uses it to understand the strengths and learning needs of students. One of the many assessment tools used is ACT Aspire, a national standardized academic test administered to students grades 3 through 8.